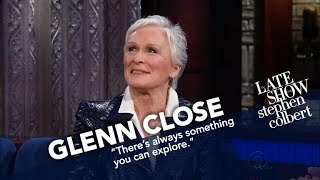 Did anyone else see Glenn Close on Stephen Colbert last week? He asked her why she’s reprising her Tony-award winning role on Broadway, knowing full well that she’ll be ineligible for another Tony. Her response stuck with me. You can watch it here (thanks CBS! ): Ms. Close’s obvious passion for her craft and enthusiasm for the connection with her audience is what resonated with me. I write for the same reasons. It’s something that I can’t *not* do. Constantly honing my craft, creating visceral experiences through the power of my words, that’s my bliss. The world around us changes and evolves and the publishing markets change and evolve with it. This means there’s always more to learn therefore always room to grow. There’s also that thrill of connecting with readers, or, more accurately, inspiring that sense of connection in someone I’ll likely never even see. Those are the magical moments that keep me going and coming back for more. So, dear reader, please tell me – why do you write?